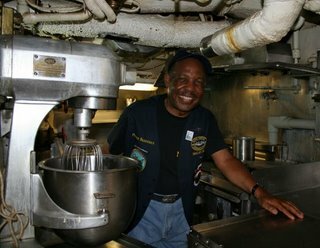 Maurice Barksdale, who was a cook aboard Razorback from late 1960 until 1963, was aboard during the recent USSVI National Convention. Maurice has been an active supporter and contributor to the museum, and during his too-brief stay in Central Arkansas, he sat down for a short oral history interview. In this photo, Maurice, poses in his old duty station. Maurice was happy to learn that we've restored the stoves and the ovens back to operating condition. Then I would be relieved by the Night Baker who would cook all the breads, cakes, pies, rolls and everything that would be needed for the basic three meals for the next day. So it was basically 12 to 14 straight hours of working, of non-stop working, because as soon as you got through one meal, you had to prepare for the next meal." To listen to the interview, or read the entire transcript, please visit the museum. Karen Cline of Washington state, recently visited USS Razorback. 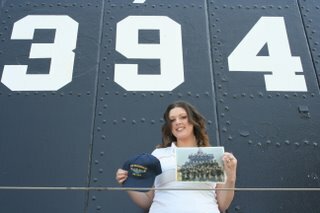 Her grandfather was Torpedoman First Class Charles "Pops" Gibson aboard Razorback when she was commissioned in 1944. 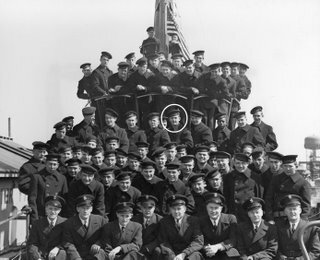 According to his granddaughter, Petty Officer Gibson (in the circle), was called "Pops" because he was the oldest enlisted man on Razorback. Petty Officer Gibson was from Washington State, where his widow, Louise, as well as his daughter Judy , granddaughter Karen, and grandson KC still live. A son, C. Martin resides in California. Two other grandsons, Chip and Andrew, live in Colorado and California respectively. It's wonderful that Razorback crewmembers and their families continue to contribute their personal stories. They really make our museum come alive. With the submarine USS Razorback’s arrival in North Little Rock two years ago, the next goal for civic leaders became to entice as many submariners to central Arkansas as possible. Being hosts this week for the 2006 national convention of the 11,600-member U.S. Submarine Veterans, Inc., accomplishes that mission. About 1,000 people will take part in the submariners convention today through Sunday in Little Rock and North Little Rock, with most events at the Statehouse Convention Center in Little Rock. The convention’s draw, of course, is the World War II-era submarine sitting across the Arkansas River on the southern edge of North Little Rock’s downtown. The conventioneers could put close to $1 million into the central Arkansas economy through hotel rooms, restaurant meals, souvenirs, attractions and other items, said Karen Trevino, director of the North Little Rock Visitors Bureau. That’s according to a formula using $224 spent per conventioneer for each overnight stay. Representatives from the North Little Rock Visitors Bureau, the Little Rock Convention and Visitors Bureau, the Peabody Little Rock Hotel and the Razorback Submarine Base veterans group made their bid in late 2004 to bring the submarine veterans to the Razorback and central Arkansas. The effort came on the heels of national news services’ coverage of the Razorback’s tow from Turkey - where it had served the Turkish navy since 1970 - to New Orleans and then North Little Rock that summer. 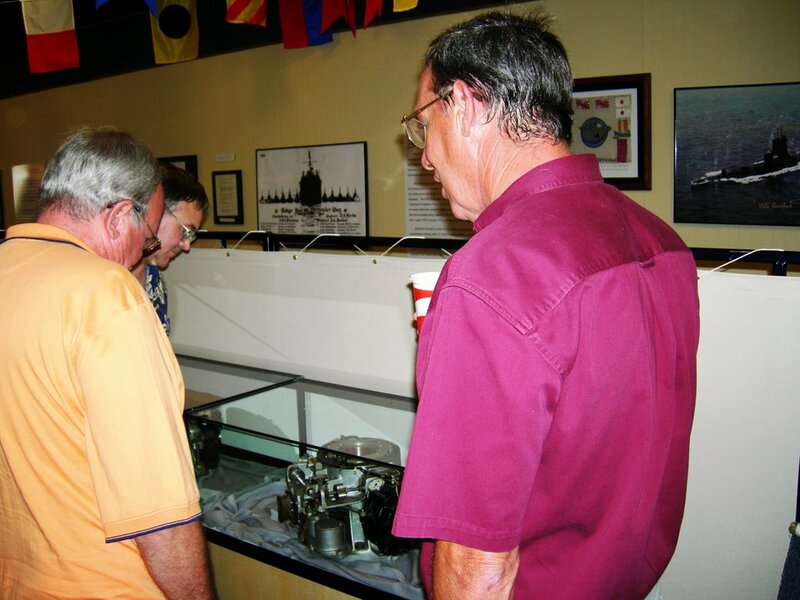 The city acquired the submarine for its preservation as part of a maritime museum. “We put on our dog-and-pony show and won,” recalled Barbara Wewers of Russellville, who is organizing the week’s events with her husband, Ray Wewers, the convention’s chairman and chairman of the 181-member Razorback Base group. The bid didn’t involve a monetary figure, but it included a detail of available hotel rooms, convention accommodations and local attractions, she said. Little Rock is one of the smaller cities to land the convention in its 21-year history, Wewers added. The convention expected between 1,200-1,500 participants, based on past conventions, Wewers said, but attendance is beyond their control. “We’ve had people call and say the gasoline crisis has kind of curbed their travel,” she said. In all, 16 submarines will hold reunions during the convention. The biggest will be between 60-70 expected for the reunion for former crew members of the Razorback, commissioned in 1944 during World War II, with later service in the Korean War, Cold War patrols and then Vietnam. 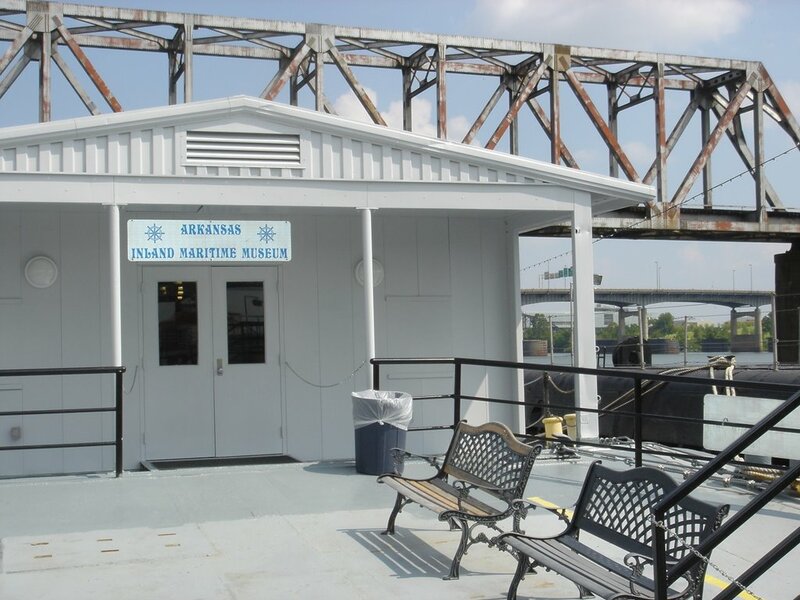 In conjunction with the convention, the Razorback and the maritime museum completed a move and additions to display for the many veterans who will tour both. A submarine research library is also available for any type of research and includes about 2,500 books, museum officials said. The experience for submarine veterans runs much deeper than just recalling their military service. Submariners have a unique closeness stemming from what is called “the silent service” of undersea duty, said Greg Zonner, director of the maritime museum. Submarine service was most precarious during World War II. In the Pacific theater, 52 submarines were lost, most with all hands. 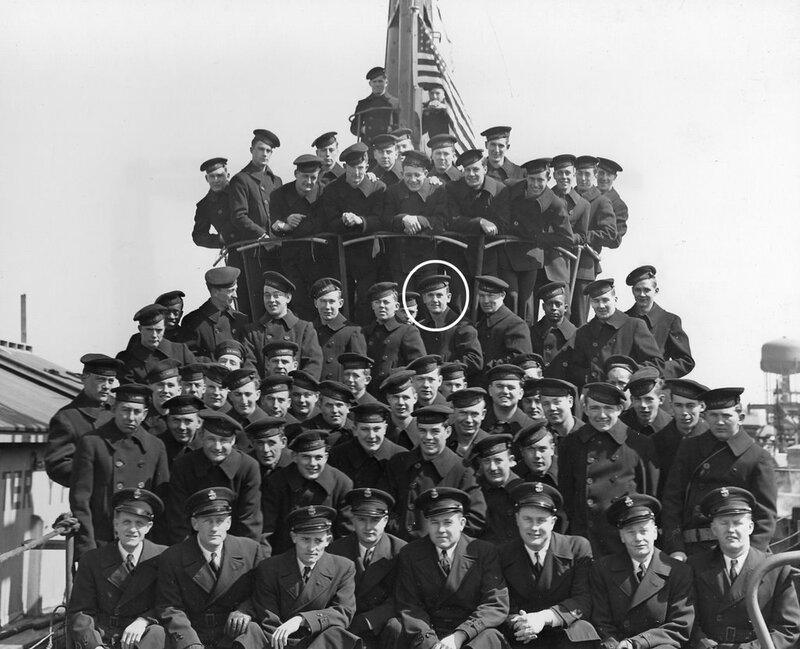 The 3,506 officers and enlisted men who died in submarines comprise 22 percent of all submariners who went on patrol during the war - the highest percentage of lives lost for any U.S. Armed Forces. “You go to sea on a submarine for three and a half months with 140 guys, no communication with the outside world,” said Zonner, a submariner with the USS Von Steuben from 1970-76. “There’s also the pressure of living in one of the most hazardous duty areas in any military service. “Everybody depends on everybody else. You form a real strong bond.” Ray Wewers, 66, served on two submarines, one being the USS Redfish (SS-395 ), the sister submarine to the Razorback (SS-394 ), both commissioned in 1944. A memorial service open to the public will be at 7 p.m. Friday at the Riverfest Amphitheater in Little Rock’s River Market to honor submariners lost at sea. Copyright © 2006, Arkansas Democrat-Gazette, Inc. All rights reserved. Good news friends! 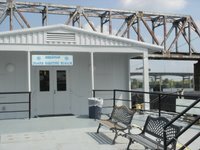 After much hard work by AIMM staff, city workers and volunteers, the Museum Displays are all now aboard the NLR Savannah Lou which is right next to Razorback. This configuration makes it very easy to view some wonderful history either before or after a climb below decks to the most complete submarine in the museum fleet. Winter hours are now in effect. AIMM is open on Saturdays from 10 until 6 and on Sundays from 1 until 6. Group tours are still available during the week but you must call 501-371-8320 to make arrangements. Please drop by to take a tour through history. 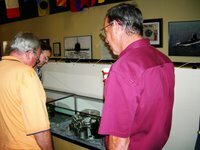 In this photo, museum director Greg Zonner (right) and Sub Vet Tom Salsbury examine one of the gyro-compasses on display.